The words that I love in my life are 武 (Martial Arts), 仁 (Benevolence), 家 (Family), 愛 (Love), and 義 (Justice and Friendship). Throughout the life, the word’s preference has changed on the list, but it has not been out of these. 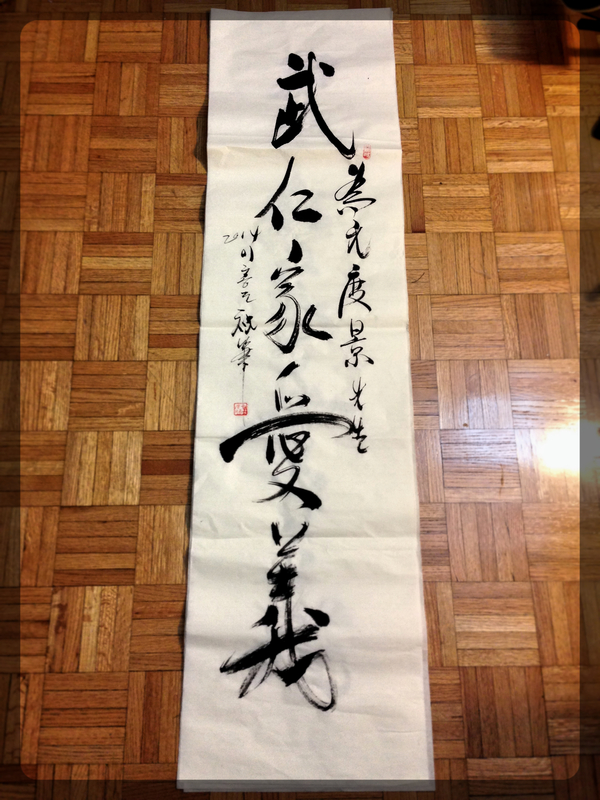 I sincerely appreciate to Artist Lee for putting my way on the great artistic calligraphy.